You can’t put a price tag on a good night’s sleep. With all the stresses and pressures of our daily lives, we deserve to lie down in a bed that let us get a good, invigorating sleep. But sometimes, lying down and falling asleep is not that simple. No matter how “comfy” your mattress feels, finding the perfect sleeping position can be a pain. With electric adjustable beds, get to say goodbye to tossing and turning, and be in control of your bed’s comfort! With Adjustable electric beds, get to customise the angle elevation of your head, foot and even your lumbar area to help you find your perfect sweet spot position. Want to raise your legs when sleeping? No problem! With a flick of a remote control, get to set your leg’s elevation. Meanwhile, elevating your upper torso while sleeping opens your airways, thus helping you breathe better while reducing snoring! Raise the elevation of both the head and foot end of your bed mimic the ‘zero’ gravity position to eliminate pressure in your limbs and lower lumbar! The possibilities are endless with your electric adjustable bed! 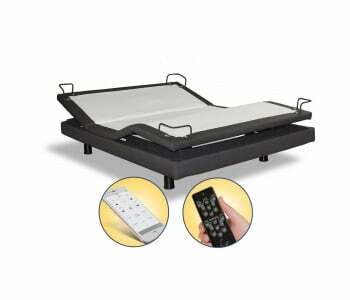 Adjustable beds are equipped with a wired or wireless remote control for convenience. No need to manually adjust your bed. Everything that you need to do to sleep better can be done in a matter of seconds, all while lying down in your bed! With just a few button-clicks, control your bed to suit what you need so you get to sleep faster! Apart from being able to adjust your bed’s head and foot elevation, our wide range of electric adjustable beds are packed with a wide range of other features that can help you have a better bedtime experience. For instance, some of our adjustable beds in Sydney are equipped with a relaxing massage function to help you relax while lying down. 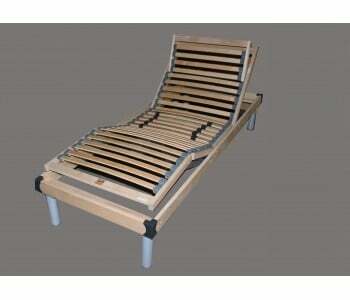 Meanwhile, our other electric adjustable beds are capable of being pre-programmed with your favourite position. With one easy click, your electric adjustable bed automatically adjusts to your favourite position! From built-in night lights to cool and stylish designs and other advanced features, our adjustable beds in Sydney are truly one of the best! 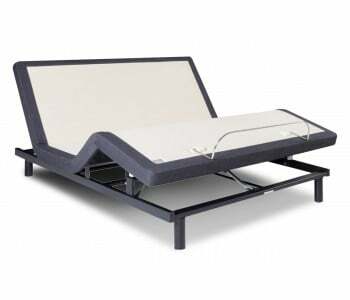 BEDWORKS brings to you a wide range of the best adjustable beds in Australia! Choose from a bevy of the best electric adjustable bed brands – from award-winning Reverie Adjustable Base Foundation and Sleep System to Mazon Virtali Adjustable Beds. Whether you’re looking for a split base electric adjustable base, an upholstered adjustable bed or even an electric adjustable bed using beech plywood slats, we’ve got you covered! What’s more, our electric adjustable beds can be integrated with our wide range of custom timber and upholstered bed frames and bed heads to ensure that your bed blends well with your stylish room. Want to upgrade to an adjustable bed but not wanting to give up your favourite gel-infused memory foam mattress or premium latex mattress? No worries! 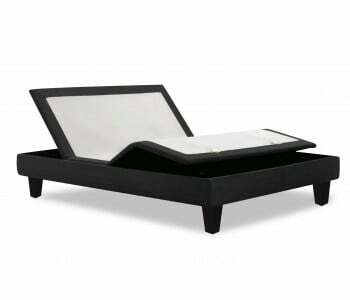 Our electric adjustable beds are compatible with your existing latex or memory foam beds. 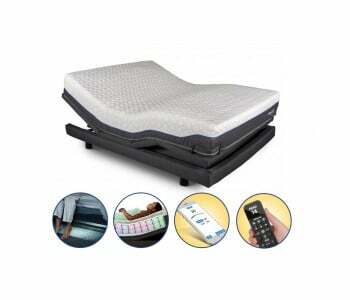 Considering a shift to electric adjustable beds but don’t want to use a foam mattress? Sure thing! 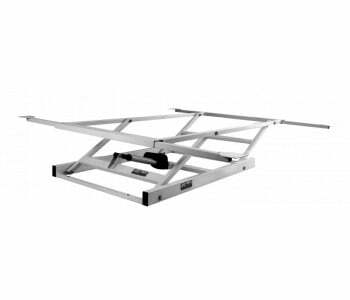 We have a special adjustable base that is compatible with a pocket spring mattress. 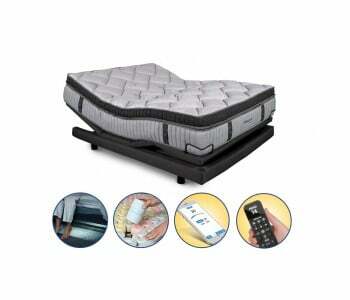 We also carry a huge range of compatible mattresses that are specifically designed for electric adjustable beds. Create the perfect sleep system and sleep better with the best adjustable beds in Sydney – Only from BEDWORKS!